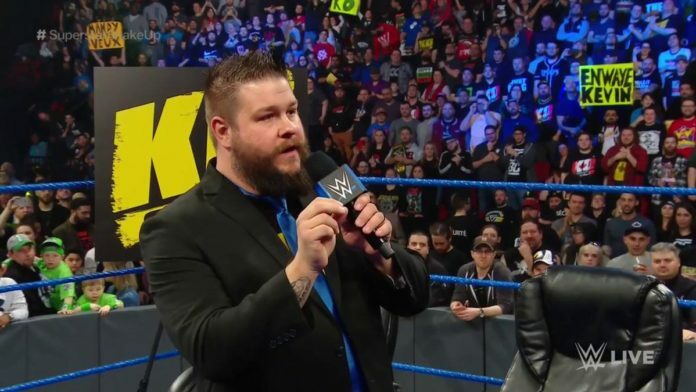 WWE Champion Kofi Kingston and Xavier Woods joined the Kevin Owens show to start off this week’s episode of SmackDown. Owens congratulated Kingston on his victory at WrestleMania and the crowd gave him a standing ovation. Kingston said that he appreciated the kind words and thanked the crowd. Owens brought up Big E’s injury and Woods went on a rant about RAW taking 80% of the UpUpDownDown roster. Owens suggested they enlist the help of “Big O” with Big E out of action. 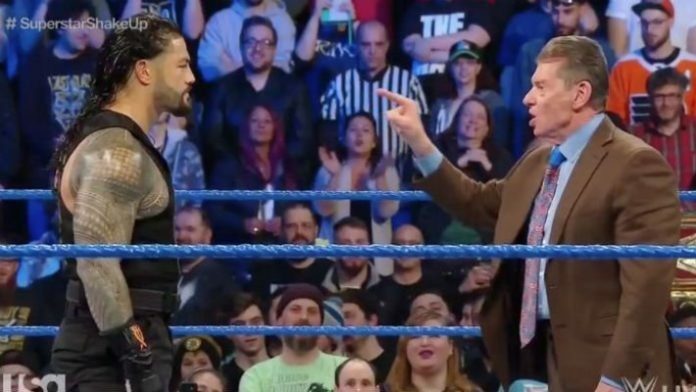 Kofi and Woods noted that there is a lot of “movement of the groinal region” and Owens started to swivel his hips. Kingston asked Montreal if they wanted to see Owens as an honorary member of New Day they loudly applauded. Owens then put on the New Day unicorn and danced with Woods and Kingston in the ring. Cesaro then approached Nakamura and Rusev backstage and asked to join them in their match against New Day later tonight.